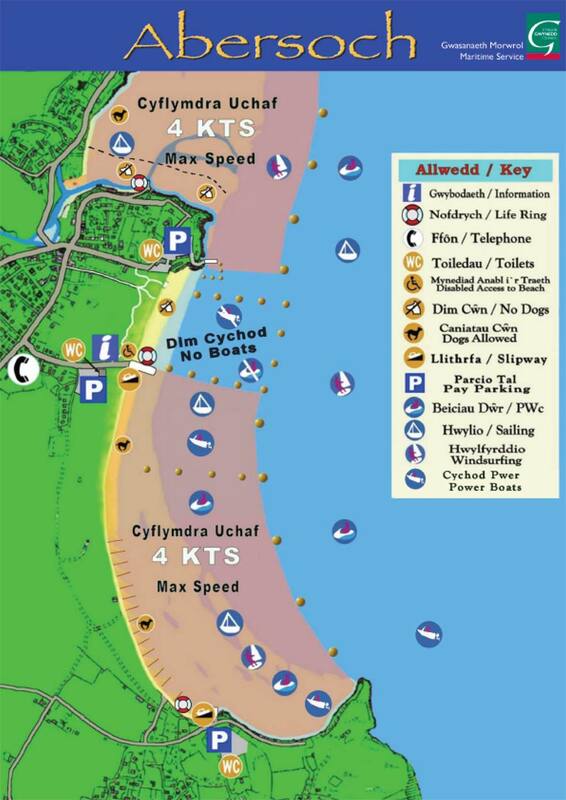 Abersoch is a popular location for powerboat users. The bay often provides sheltered conditions for skiing, wakeboarding or just having fun. The wonderful scenery around the bay makes it a spectacular place for watersports. Various seasonal park and launch services exist in the village eg at McGill Marine (Vics - please note that Vic no longer does casual launching), at Land and Sea Ltd or Abersoch Boatyard Services. If you want to launch your boat yourself, then the best bet is to use the Golf Road (Lon Golff) slipway, which provides access to the Main Beach. Payment is made at the entrance to the car park and details of charges are are available from the Harbour Master's office in Pwllheli (01758 613131). The council signs at the slip provide details on the user zoning in the bay. No parking of vehicles is allowed on the beach. Having a berth at Pwllheli Marina is also a hassle free way of getting into the water. Various zones are in force in the bay for powered craft - details of which are on the notice boards at the launch slip ways. There is a maximum speed limit of 4 knots on the beach side of the yellow buoys and there is a no powered craft area, close to the shore between the yacht club and the golf road slipway. Abersoch Boatyard Services has a full range of Rib-X ribs and a selection of brokerage - yachts and powerboats. They are also Yamaha main dealers and service centre. Contact them on 01758 713900. 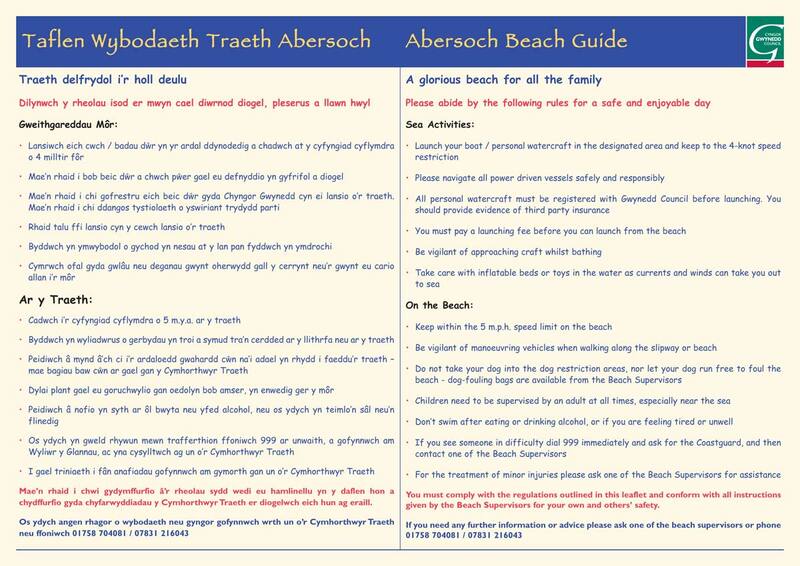 Abersoch Boatyard Services and Mcgill (01758 710071) are situated in Abersoch and offer these services.